You are here: Home / Remedies / Elderflower Tea: Just As Good As Elderberry Syrup? 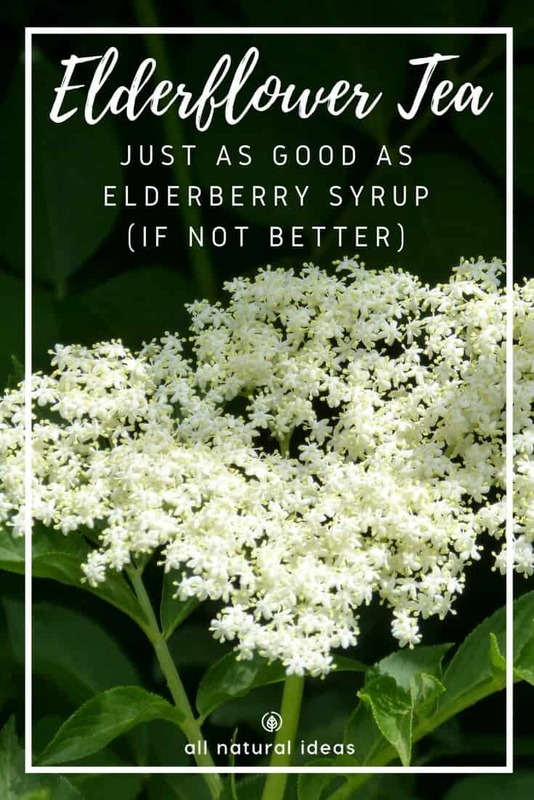 If you’re into natural health, no doubt you’re aware of elderberry syrup. 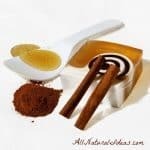 It’s one of the most popular natural prevention remedies and cures for colds and the flu. But have you heard of elderflower tea? Can preventing colds and flu be as simple as sipping a cup? Quick one-question pop quiz: what’s the difference between elderberry and elderflower? The answer: it’s kind of a trick question. There’s not much of a difference. You see, they both come from the same plant. Elderberry, perhaps best known in natural health as an immune booster and cold remedy, refers both to the small bush as well as the dark berries it flowers. These berries are common in European jellies, jams and juices. It’s also in harder stuff like sweet cordials and liqueurs such as Sambuca, which is an appropriate name, considering the scientific name for elderberry is Sambucus nigra. But you don’t have to consume blood-sugar spiking carbs or get plastered slamming shots of Sambuca to get the benefits of elderberry. In fact, you can simply drink elderflower tea, which may help with hormonal balance. It may also help curb inflammation and prevent cardiovascular disease. These are just a few of its benefits. How are the flowers different than the berries? Are they one and the same? The flowers are simply the blooms from the elderberry tree. They are delicate in texture and white in color. 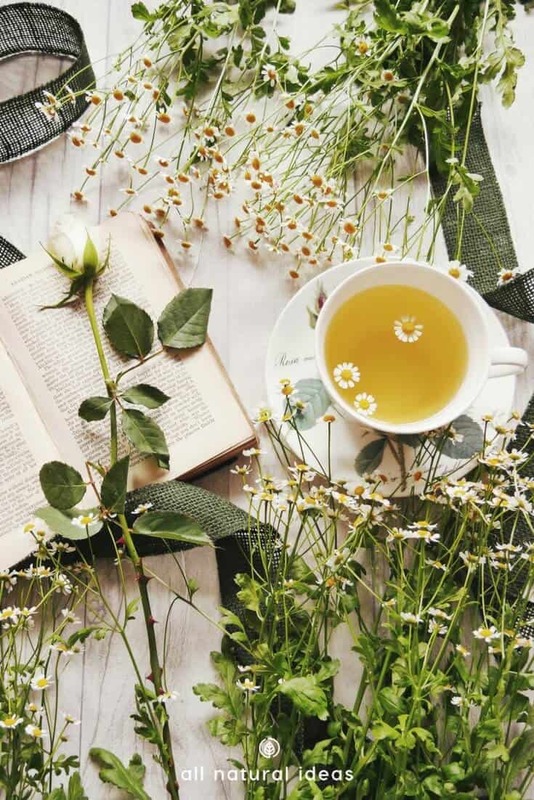 In addition to fighting colds and flu, elderflower tea is popular as a natural remedy for clearing the sinuses and bronchial tubes. It’s also an effective herbal remedy for high-blood sugar as well as constipation. According to WebMD, it’s also used to increase urine production and sweating. And yet another use is to stop bleeding. Let’s take a look at some research that supports the use of elder extracts. An Herbal Beverage Powerful Enough to Neutralize Influenza? Elderberries also may treat conjunctivitis and arthritis. That’s great about the benefits of elderberry. But do you get the same benefits from the flowers of the elder tree? The short answer: pretty much. Both the berries and the flowers contain numerous compounds that support the immune system. 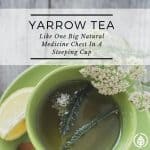 According to this herbal website, the flowers of the elder tree have a long-standing reputation as a treatment for all kinds of inflammatory and congestive conditions of the respiratory system. Especially when these are accompanied by fever. This makes elderflower tea a comforting immune system boost..
Again, these benefits sound great. But what about clinical proof that it works? This exhaustive research says elder extracts possess significant antioxidant activity. They also prevent the formation of new blood vessels. This is important because cancer cells need new blood vessels to essentially breathe. Furthermore, there’s a particular type of antioxidant in the flowers: anthocyanins. These antioxidants protect certain cells from aging. And not only that, elder may lower LDL levels. LDL is the so-called bad form of cholesterol. Consequently, the flowers from the edler tree may not only help prevent cold and flu, it may also prevent disease in blood vessels. 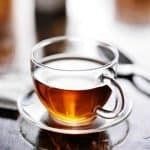 One of the main reasons drinking elderflower tea may be good for you is it boosts cytokine production. Cytokines boost the communication between immune cells. The better your immune cells talk to each other, the better you’ll be able to fight off illness and disease. As for more proof that elder extracts help fight flus, consider this study. It concludes that it can inhibit the effects of type A influenza virus (H1N1). And it can do so just as well as popular name-brand prescription drugs such as Tamiflu. In addition, there’s another particular type of antioxidant extracted from the flowers. And this antioxidant is a strong microbe killer. Particularly against a household name of bacteria, Staphylococcus aureus. A “staph” infection can cause life-threatening diseases such as pneumonia and meningitis. Moreover, this research shows the flowers may stimulate bone formation. Thus, perhaps it’s an effective all-natural solution for mild osteoporosis. This study in the journal, Nutrients, demonstrates beneficial features of elder extract in preventing breast cancer. It does this by preventing estrogen secretion. When there’s too much estrogen activity, the condition known as estrogen dominance occurs. Estrogen dominance leads to imbalanced hormones and may be a root cause of breast cancer. Thus, the flowers may help decrease circulating estrogen concentrations in the blood. However, the study’s results are from a lab setting, not on humans. Nevertheless, the results are promising. Polyphenols are yet another prominent type of antioxidants found in elder. Consuming enough of them is associated with a decrease in the incidence of heart disease. And other maladies due to inflammation. All these benefits sound great. But how does the tea taste? 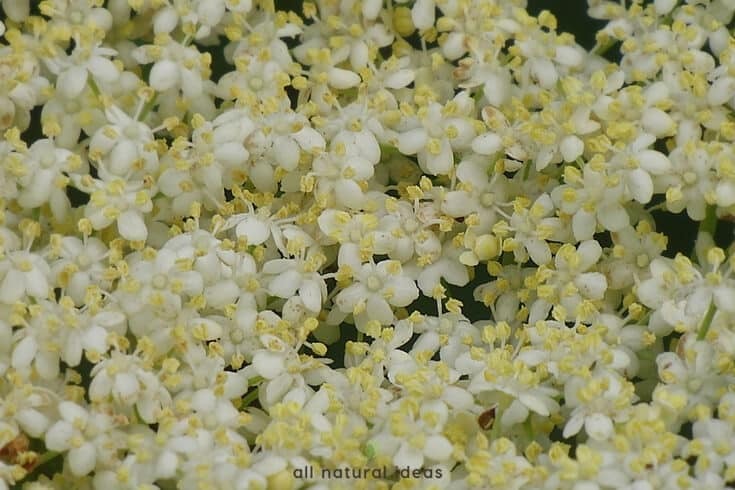 Well, according to this research, the flowers from the elder tree are used as a as a flavor enhancer in meals and beverages due to its strong taste. But is that strong taste good? Or strong taste bad? This gin website claims the flowers possess a lighter taste than blue or black elderberries. That’s why sipping a herbal blend with elder florals is like drinking a cup of summertime. According to this website devoted to herbal teas, to make a cup, simply do this: use two to four flowers in a teapot. Pour boiling water and let steep for a minimum of 10 minutes. Then, strain the blend. Sip. Enjoy. Are you a lazy? Then you can purchase dried flowers or elderflower teabags.